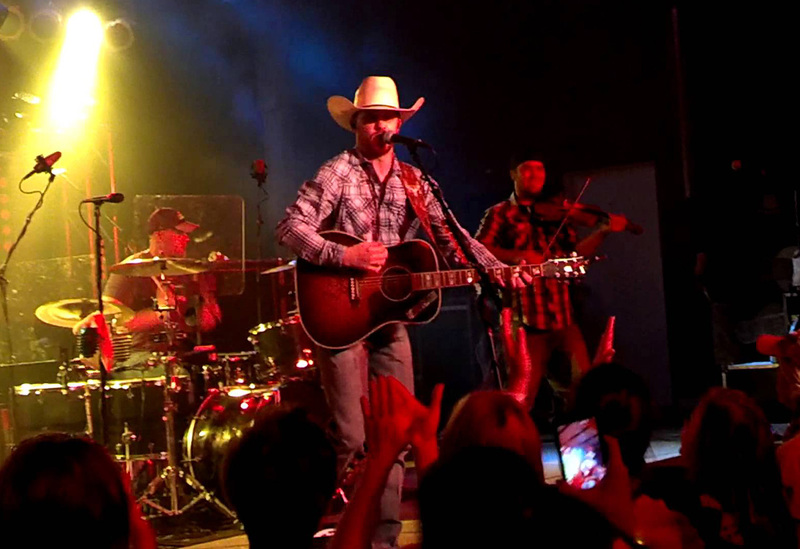 Chart-topping indie artist Cody Johnson continues to make headlines. People Country featured "5 Things To Know About The Indie Singer Making Waves On The Country Charts," and the singer landed a coveted spot on The New York Times Playlist - a career first for the indie powerhouse. Jon Caramanica of The New York Times claims, "Cody Johnson sings with levels of dignity and reserve that appear to have up and left Nashville." He continued, "This song - From Mr. Johnson's Album 'Gotta Be Me,' one of the year's sleeper country gems - is meditative, a little stoic, and convincingly plain and plainly convincing." Eileen Finan of People Country adds, "Johnson is a straight-up, Wrangler-wearing, old-school hat act in an era of ball-cap-clad bros."
Johnson has cultivated a massive following of fans that have catapulted him to chart-topping status, while showing up in mass at his headline shows. Just a week ago, Johnson performed to a sold out crowd of 7,000 fans in College Station. In the last two weeks alone Johnson has sold over 20,000 tickets to six shows as a headliner. This year, like the last, Johnson will sell out venues from California, Colorado, Arizona, Nevada and New Mexico to Georgia, Mississippi, Tennessee and Louisiana. Johnson's appeal is obvious. His powerful, smoky baritone and uncanny confidence is coupled with real world lyrics that country fans can relate to. His music is powerful, it's authentic, it's both traditional and timely. That said, make no mistake, fans are not simply interested in one song, or one Cody Johnson album, rather - they are investing their time and energy into CoJo Nation they are fans of the man himself. Rightfully so, Johnson is a man who's lived the life he is singing about - he's rebellious, a bull rider in "Cowboy Life," he found himself in love as he sings "With You I Am." Johnson's songs relate because he has lived every word. He's living the kind of life that is read about in books and played out on a big screen. His story already includes a HEAVY dose of success, album sales, single sales, ticket sales and much critical acclaim. It is also quite clear, this is a story that is just getting started. It's sure to be a good one.